Daily Sabah noted on Monday that Iran also has a Kurdish militant organization, the Kurdistan Free Life Party (PJAK), which operates from the same area of Iraq and launches periodic operations across the border into Iran. As far as the Turkish government is concerned, the PKK is a terrorist umbrella organization that includes most armed Kurdish groups in Syria and Iraq, including organizations like the Syrian YPG that have been officially allied with the United States against ISIS. Turkey has occasionally bombed PKK bases in Iraq, and Iran has battled PJAK forces, but Monday’s raid is the first confirmed joint Turkish-Iranian operation against the PKK. 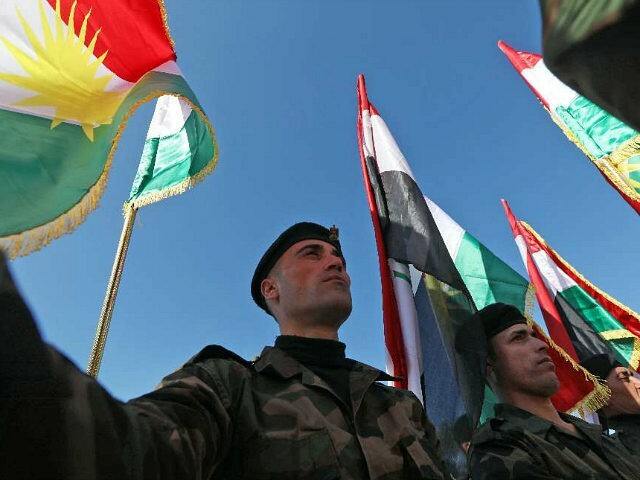 The Iraqi army reported clashes with PKK militants on Sunday, leading the Jerusalem Post to speculate that a triple Turkish-Iranian-Iraqi alliance against the Kurdish militants could be developing. Such an alliance might have been inevitable ever since a brief ceasefire between Turkey and the PKK collapsed in 2015 and the tide of the Syrian civil war began to turn, leading to the announced withdrawal of American troops that served as a tripwire against Turkish assaults on the Syrian Kurds. Among the politically awkward aspects of the anti-Kurdish crackdown is the presence of armed Yazidi groups in northern Iraq. The Yazidis are a tiny minority that was almost wiped out by the Islamic State, but found shelter with the Kurds, who helped them develop militia units to protect themselves in the future. At least one notable Yazidi leader has been accused by Turkey of joining the PKK. “With the conflict on ISIS winding down Turkey has decided it will work closely with all its neighbors to destroy the PKK,” the Jerusalem Post predicted. The anti-PKK coalition might acquire a fourth member if Turkey is willing to work with Syrian dictator Bashar Assad. The Turks generally loathe the Syrian regime, but Assad has good reasons to smash the Kurds: removing the threat of a Greater Kurdistan appearing and gobbling up Syrian territory, reducing the power of a U.S. ally inside Syria, and getting Turkish troops out of Syria as quickly as possible.